From its humble beginnings, Cadenza Music reaches 10 years in the business in 2013. 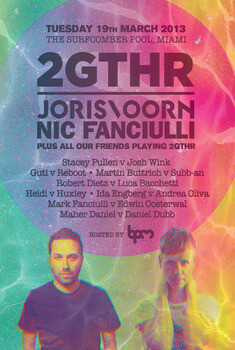 To celebrate, the label will see exciting new music projects and unique events around the world, including a number of parties during Miami WMC. 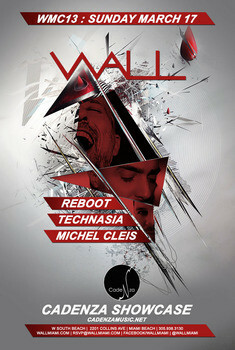 Miami kicks off with a Cadenza Showcase on March 17 at Wall, where Reboot heads up alongside Michel Cleis and Technasia. 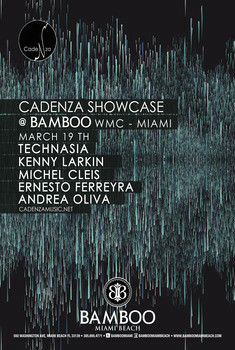 Next, it’s Bamboo on March 19, where the label hosts its second showcase event of the week, this time with Andrea Oliva, Ernesto Ferreyra and Kenny Larkin joining Reboot, Michel Cleis and Technasia. 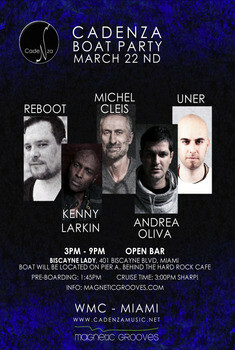 March 21 is the next date in the label's calendar and the birthday celebrations begin with 'Celebrating With You' at Delano Beach Club, featuring sets from Cadenza boss Luciano alongside Ernesto Ferreyra, Reboot, Kenny Larkin and Technasia. 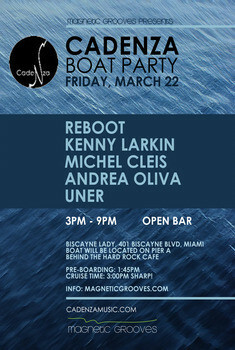 The crew are also hosting a boat party the following day on board the Biscarne Lady, which sees Uner join the rest of the gang. 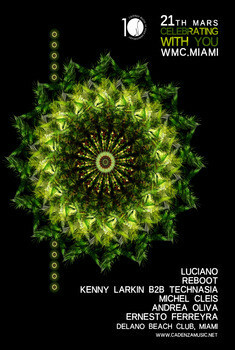 Later that evening, Luciano is at Ultra and will also be making an appearance at Story on March 23.